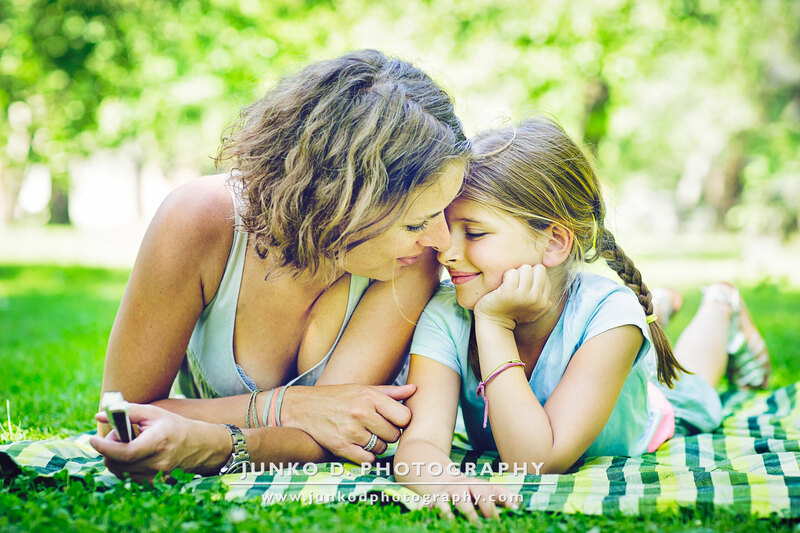 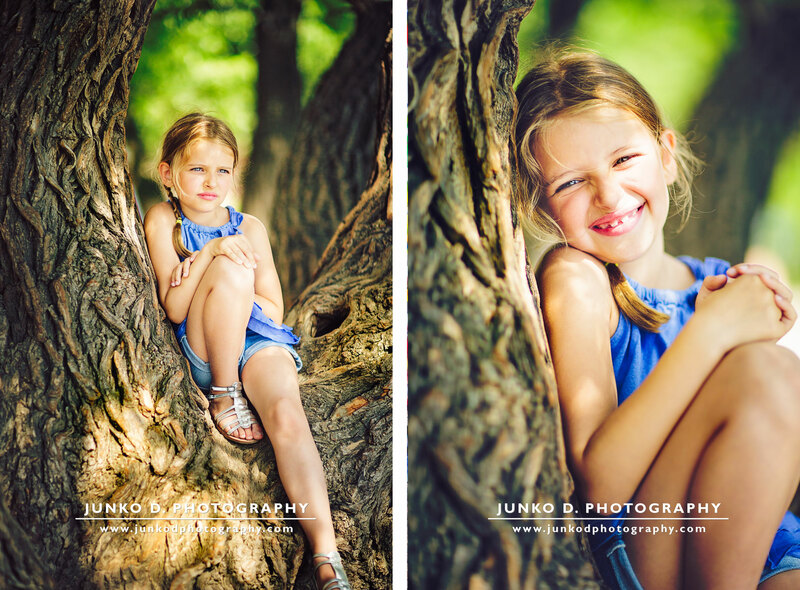 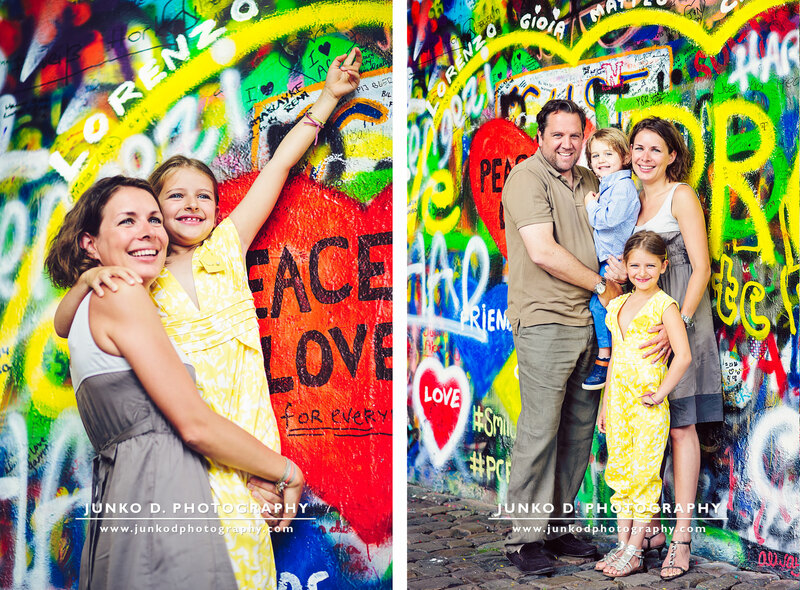 A colourful summer family session it was indeed! 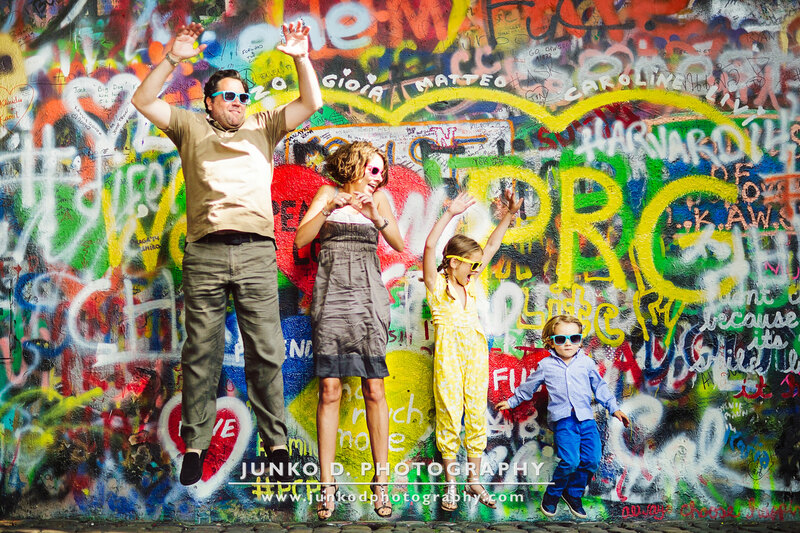 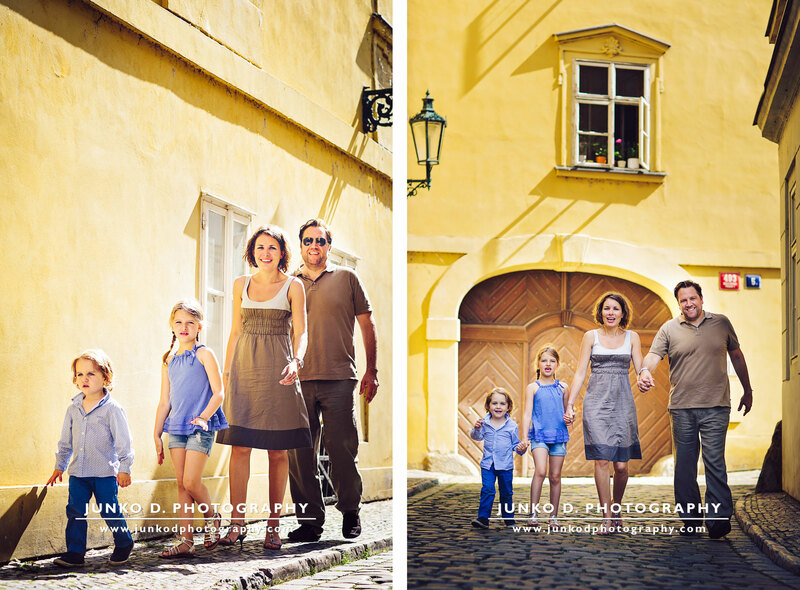 This session was in many things very special, since this lovely family was about to leave Prague after 7 years during which their two children were born. 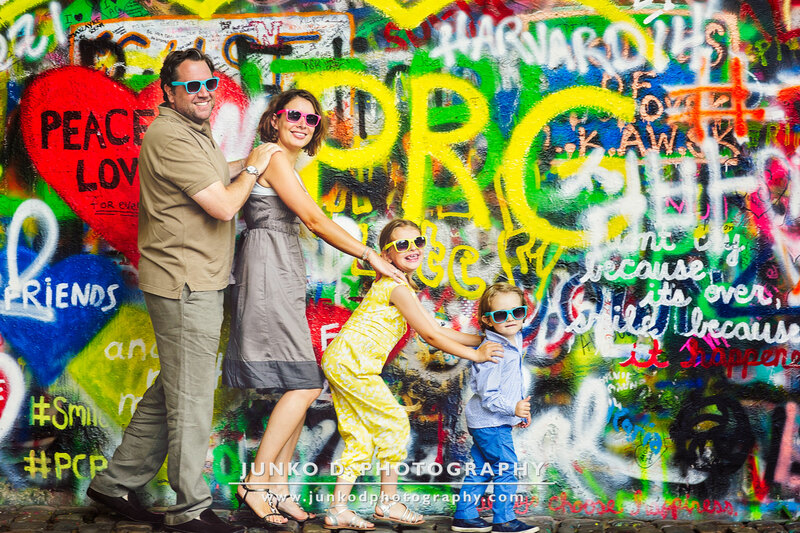 Hence it was particularly important for them to keep beautiful memories of their life here and when discussing the location of the shoot during our pre-session meeting, it was a natural choice to select all the locations where they had spent many happy afternoons as a family. 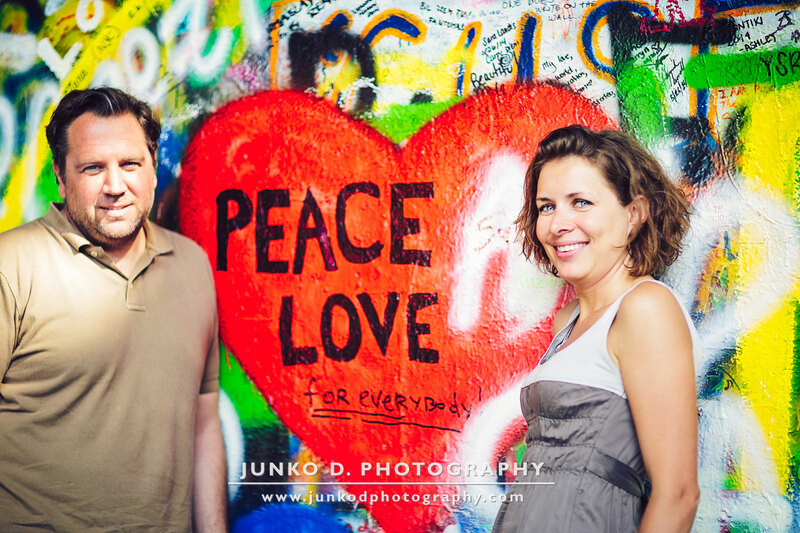 After having already painted a portion of the wall together in the past, Caroline and Lorenzo wanted to do it again and be captured by the camera in front of their message of love for the city. 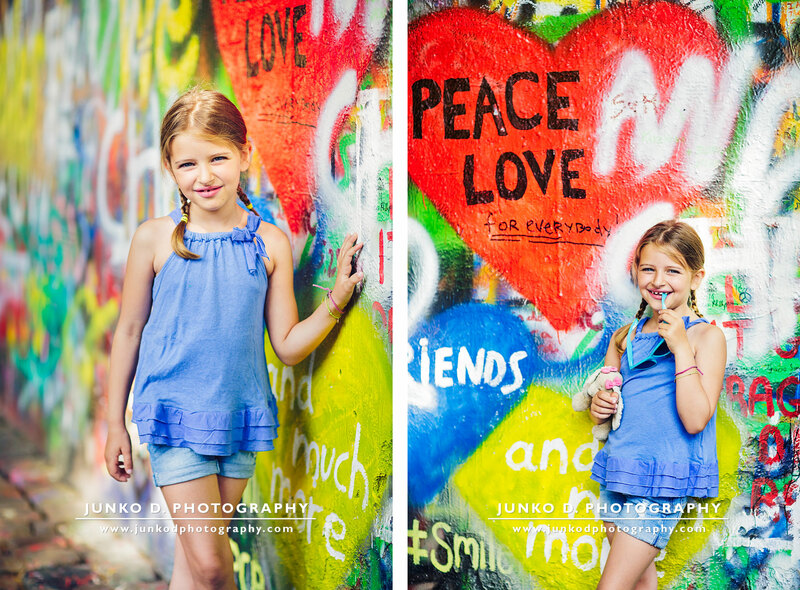 Pushing perfection even to the extent of letting their own graffiti be altered by other people’s messages before the shoot, Caroline spent a moment the day before the session to paint a large graffiti which would make a perfect backdrop for their pictures and tell their own true story in a unique and personal way! 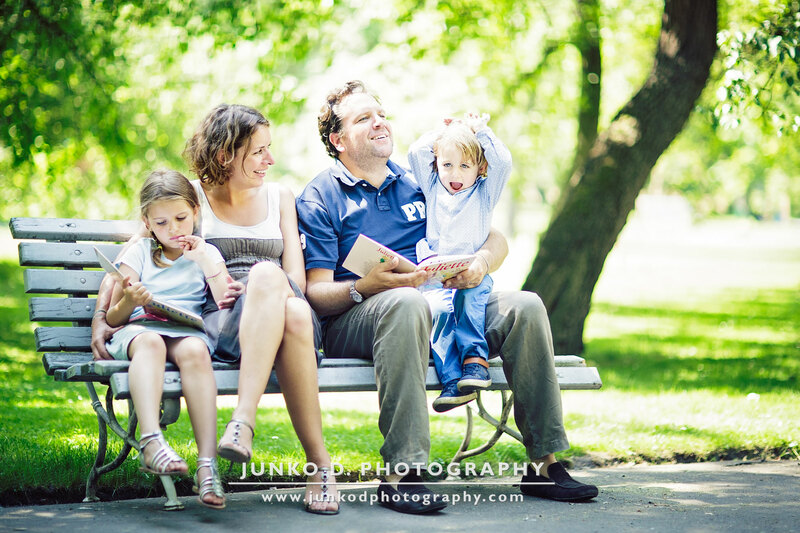 Planning is everything and the fact this whole family session had been thoroughly planned, with different sets of clothes, props and toys for the children, greatly impacted on the quality of the session. 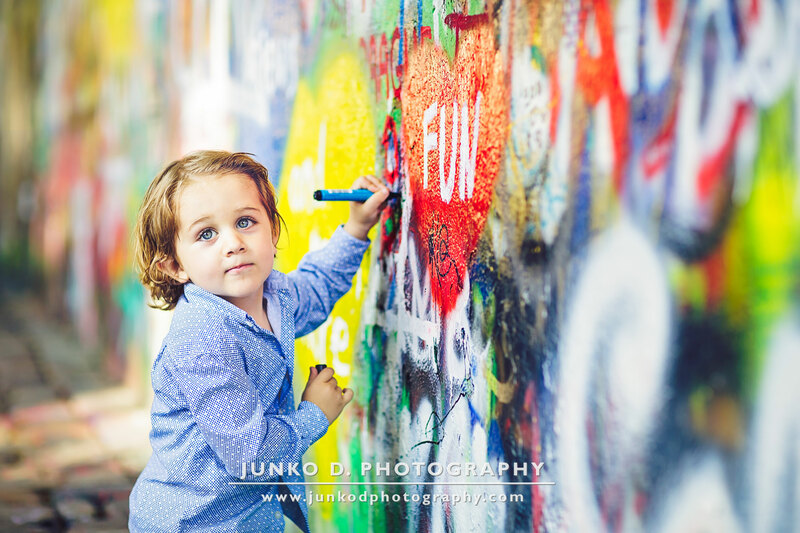 I remember it as full of good mood and laughter where the children and their parents got to do what they always enjoyed doing in the city. 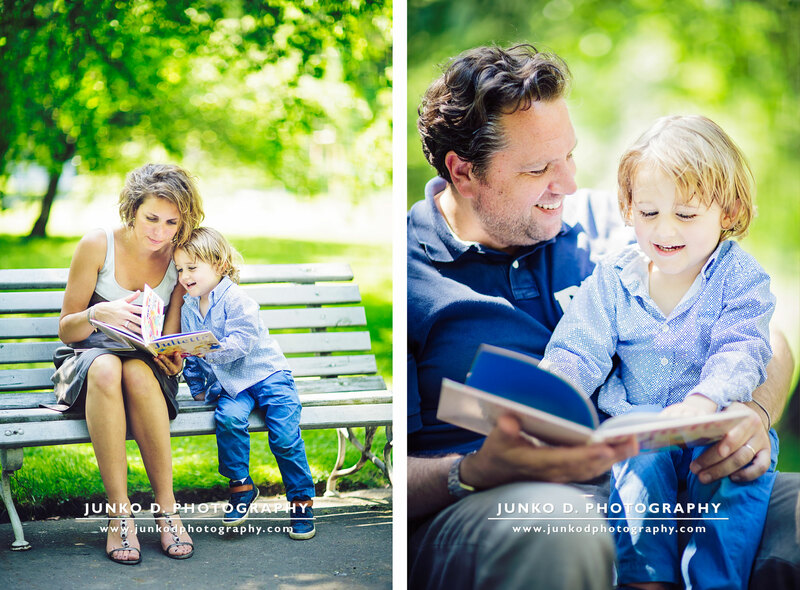 And I am so happy to have created these beautiful images which captured the essence of this family and which followed them in their brand new life across the sea.